POS systems designed for restaurants. 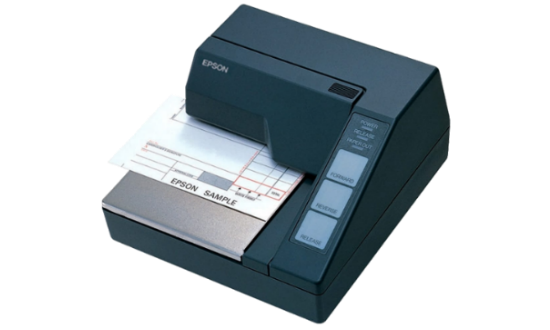 You can be confident that you'll get unmatched performance and reliability with our slip invoice printer. The flatbed design makes paper placement easy and fast. 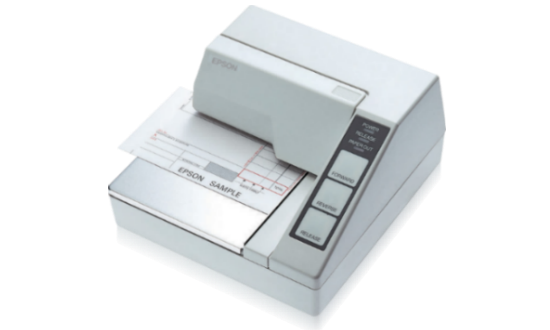 It also features user-friendly features such as easy-to-operate touch panel and automatic paper-out function. It has an ideal structure for check and credit authorization terminals. It has the ability to write at the same time and is incredibly compact. "Page mode" provides you with all the options you need, allowing you to print almost anywhere in the document. It has many font options, offers four print sizes, as well as horizontal and vertical text printing. 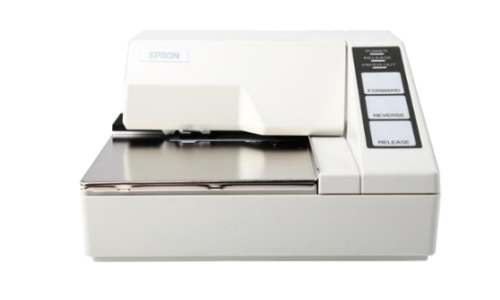 Meet the smallest slip invoice printer in the world with only 1.6 Kg weight and ultra compact structure. We use Menulux POS system and tablet restaurant menu software for ease of use and visual quality. We collect customer feedbacks while visually presenting our menus on the tablets, and we take orders quickly with the restaurant POS system. We are using Menulux POS system and tablet menus since 2014. Taking orders from tablets gives us speed and convenience in terms of usage. Thanks to the online management panel and mobile boss app, we change prices and get all sales and stock reports instantly. In the period when we were not satisfied with our restaurant POS system we started to try Menulux POS solution. Thanks to the Menulux support team's rapid and effective communication we built a system that we could easily manage 4 branches from the center. At Dedeman Hotel we started to use the tablet menus to visualize the product and menu presentations at the highest quality. We made our menus presented in customer's own language and started to receive feedbacks about our services. We saw great interest from customers with our unique decoration, rich menu and quality service. We chose Menulux digital tablet menu system to promote our products in the best way. We thank to Menulux for contributing to our brand value. We did a quality café restaurant program research to get orders from the tablet in the Liberta café. As we liked the restaurant automation system software we saw in Oblomov, we decided to use the Menulux restaurant POS system program. We use the Menulux tablet menu system program to get orders from the tablet. The Menulux restaurant program is the best restaurant automation system ever developed for cafes and restaurants. We chose Menulux POS systems, which we heard as a quick and easy restaurant program to follow orders in our Konya flavor kitchen restaurant. The Menulux restaurant system made it easier for us to get orders from the tablet and work on the android phone as a waiter terminal. The Menulux restaurant system is the best restaurant automation program we offer for all businesses. We use Menulux restaurant POS systems to provide restaurant automation by ordering the tablet with the android restaurant program in the Keyfi Mekan bistro cafe. With the Menulux restaurant program, we started to set up and sell on the same day without any difficulty. We recommend the Menulux restaurant POS system for the best restaurant automation program in all cafes and restaurants. We use Menulux POS system and tablet menus as an point of sale system program in Bodrum Gurme Cafe. In the Menulux restaurant software, it takes speed and convenience in order to use the tablet instead of the hand terminal. In the restaurant automation program system, we can easily change the prices from the online restaurant management panel and instantly access all sales and inventory reports. We started to use Menulux restaurant automation software due to the problems we experienced in the program we used as restaurant automation system in Altınoluk pastry. We establish Menulux restaurant automation system in 4 branches and manage all our branches remotely through central restaurant automation management program. Copyright © 2013-2018 Menulux Digital Tablet Menu and Restaurant POS Systems | All rights reserved. Developed in Kocaeli University Technology Development Center, Turkey.